Here are the top posts that were published this year! Have a look after the jump to see who took the top honours and, if you haven't already, click on the titles to have a read. How's this for innovative packaging? 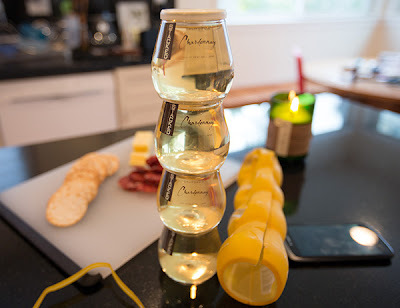 Stacked are individually parcelled plastic glasses of wine and, while we can't vouch for the quality of the contents, full marks must be given for the branding of the product. Perfect for picnics or the beach, an in-house sommelier matches the locations to which each wine (a Chardonnay, a Merlot and a Pinot Grigio) would best be suited. We didn't feature many toys in the run up to the holidays, but we couldn't end the year without a post on this adorable line of wood-carved, hand-knitted and crocheted toys, curated books and clothing from Argentinian-based Fanny & Alexander. 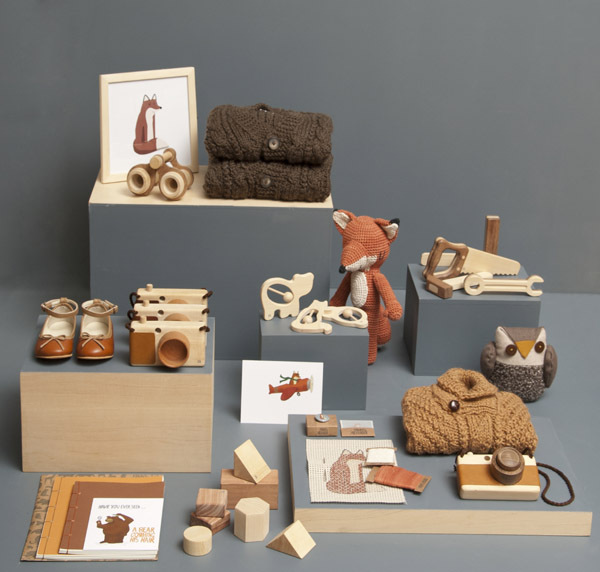 Fanny & Alexander are committed to enriching the lives of children with toys that are beautiful, simple and enduring. The initial motivation for the line was to be able to offer real, handmade toys, with no corporate agenda or licensing spinoffs. The company aims to be sustainable with materials drawn locally and items are crafted by local artisans. 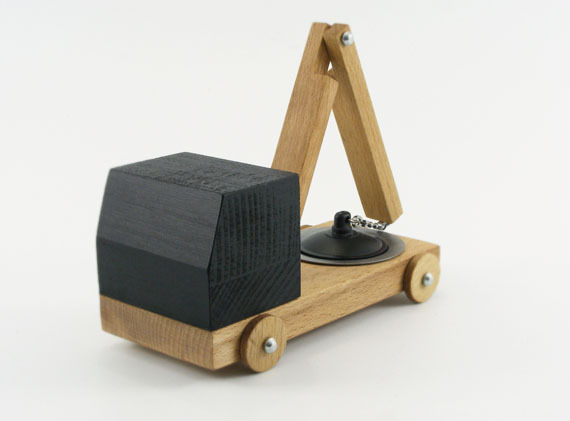 Without screens or flashy moving parts, their toys are designed to encourage fantasy, imagination, creativity and ingenuity and the fostering of manual skills from infancy and the resulting products feel more like keepsakes than disposable toys and are designed to be kept for generations. 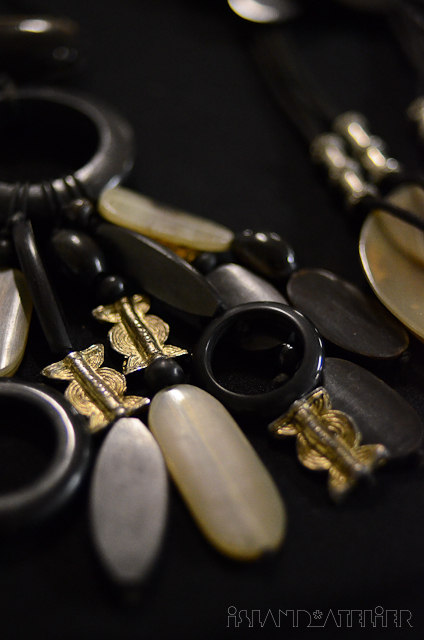 The clothing line is designed with a certain amount of timelessness in mind. Classics are reinterpreted under the Fanny & Alexander aesthetic with emphasis on quality fabrics and clean detailing. Harkening back to the days when every business desk had a real or faux leather-bound calendar on which notes of meetings were scrawled and reminders scribbled, comes this Post-It note inspired desk from Italian design group Soup Studio. 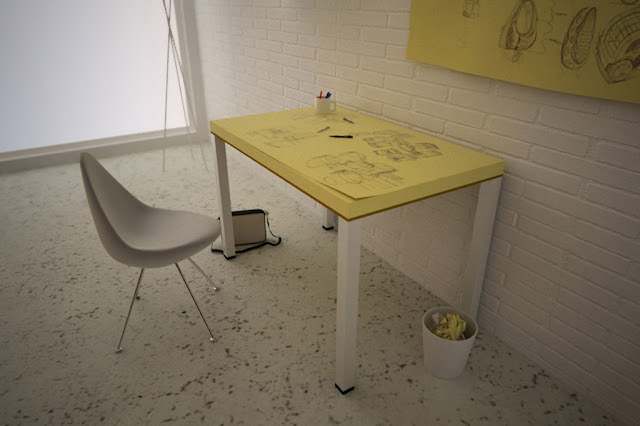 The top of the desk is covered with yellow paper reminiscent of a super-sized Post-It note supported on white legs and allows you to peel back a page and start with a fresh clean writing surface at any time. When all of the sheets of paper have been used up, they can replaced with a new block essentially creating a new table. 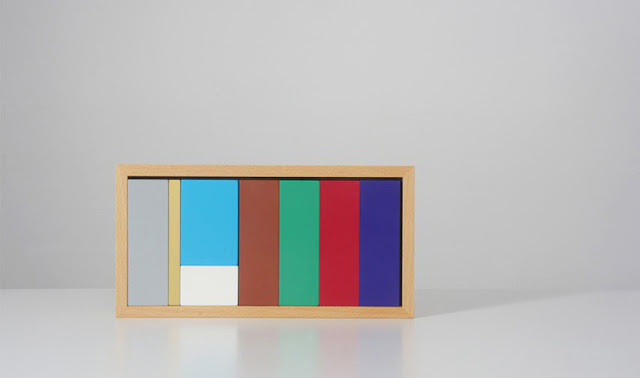 Stripping the scene down to its barest components, the Colour Nativity by Sebastian Bergne manages to evoke the nativity without losing any of its significance. Each character is represented by a different shape and colour and is recognisable by its proportion and place in the composition. The Colour Nativity set is made from handmade, painted beech wood. 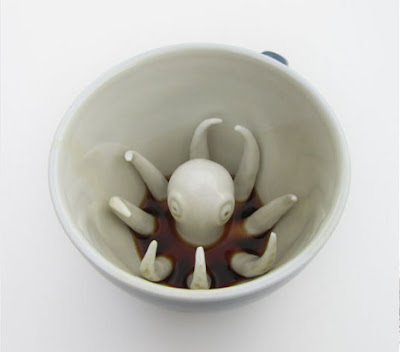 This second edition is limited to 250 and is available here. 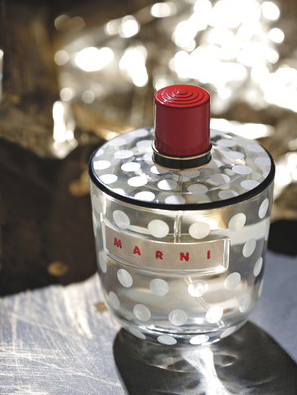 Italian brand Marni has tapped Esteé Lauder to create a perfume to reflect the label's sartorial leanings. Simply called Marni, the woodsy scent has floral and fruity notes all based around a rose oil infusion. The scent comes in a graphic, polka dotted bottle with a bright red cap and the purse spray will feature a doll dressed in a matching spotted skirt. 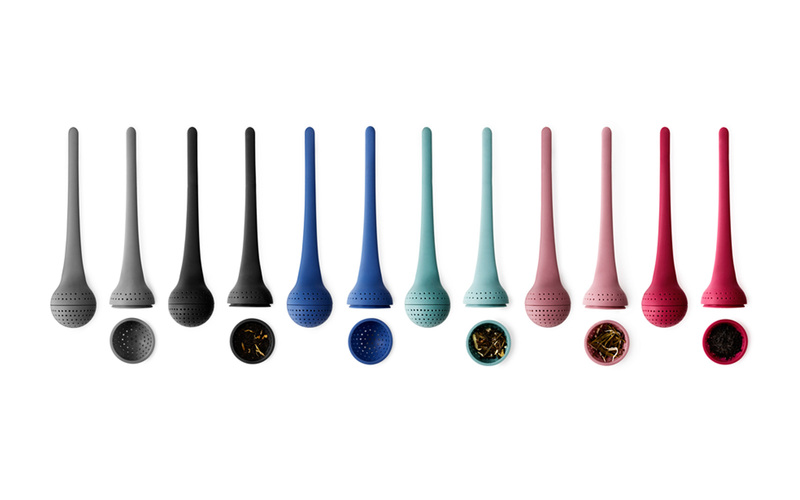 Tea Egg is an infuser designed by Made by Makers, a young multi-disciplinary design studio based in Aarhus, Denmark. 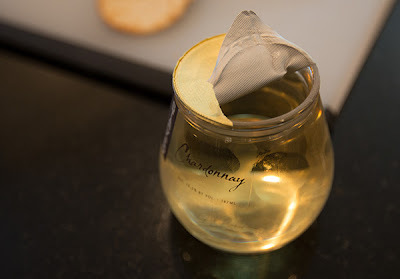 Inspired by the traditional stainless steel tea infuser, the Tea Egg is a quick and easy way to brew a cup of tea. The infusers are made of silicone and are available in six colours (grey, black, blue, mint, rose and pink) which can be used to differentiate between the type of tea being served. Who says cozy can't be cute? 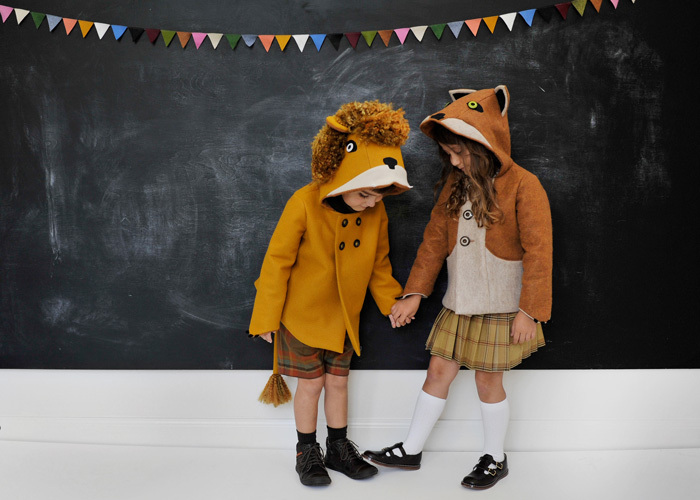 I like these adorable handmade felt coats for children from Coaters which evoke animal shapes. We haven't really featured too many toys in the run up to Christmas, but these are interesting enough to warrant a look. 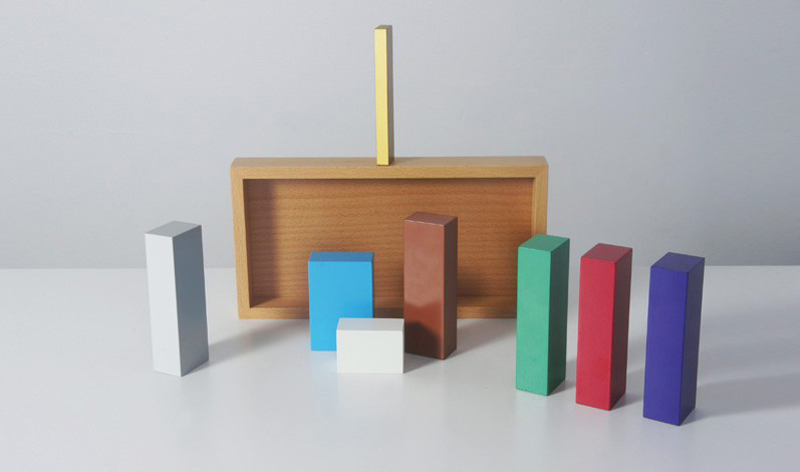 Called Poor Toys, these wooden toys are combined with common household items to create unique objects. The Peg Car is a combination of excavator and a clothes peg which can be clipped to objects and moved from place to place. The Sink Car pictured above is a version of the lift car for fans of bathroom fittings and the Brush Car is a sedan car made from scrub brushes. From G&T, a furniture collection and collaboration between award-winning British designer Bethan Gray and industry recognised furniture developer Thomas Turner, comes Brogue: an elegant, leather-topped, solid wood table featuring the intricate wax-thread stitched brogue detailing which is traditionally used in shoe production. The tables are produced using high-quality top grain leather which has been treated to give a durable finish and will age with use. 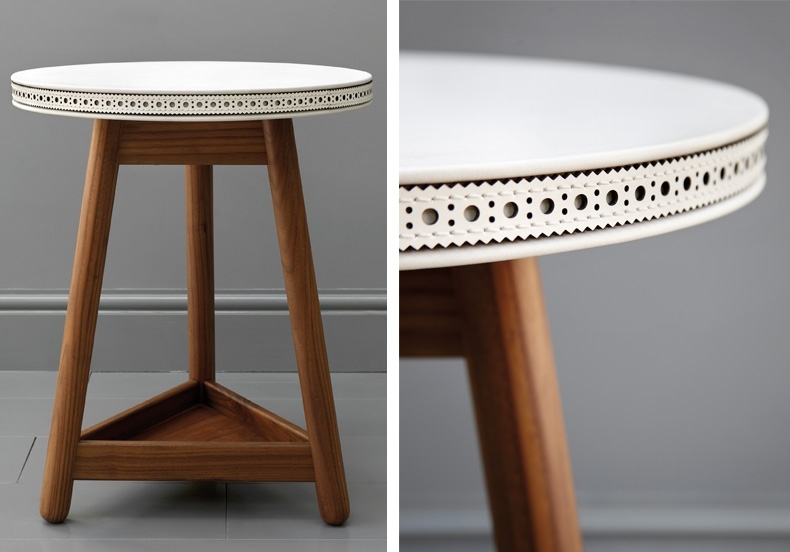 Brogue is available in a range of size and base options and can work as a side, coffee, bedside or lamp table. Finishes include white or tan leather with oak or walnut bases. Bespoke leather options are available upon request. 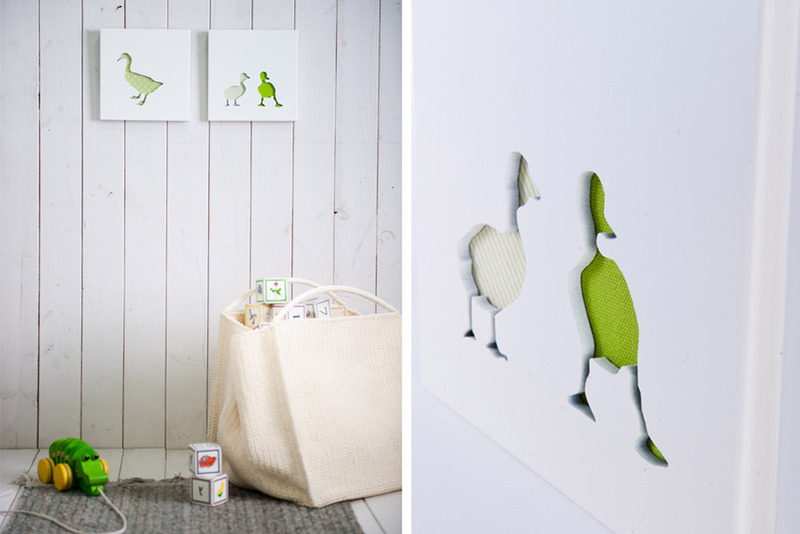 From Hook n Loop Design comes these art panels. The handmade pictures featuring a mother duck and her two ducklings are made from wood and fabric using a special technique they developed and would be wonderful as nursery decor for a boy or a girl. 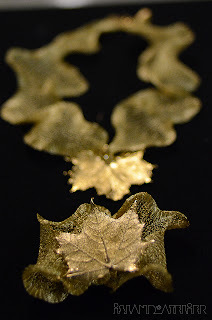 We've always admired Rachel Perry (from whom this necklace was purchased) and her ability to pick the most striking and unusual pieces of jewellery - just right for adding a little bit of drama to or finishing off an outfit. 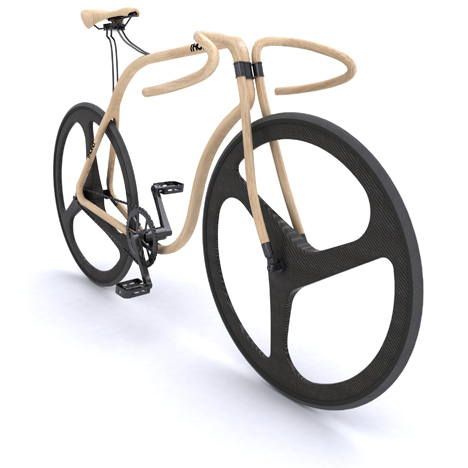 In 2010, designer Andy Martin was asked by Thonet to design a concept road bicycle using Thonet's iconic steam bending process. 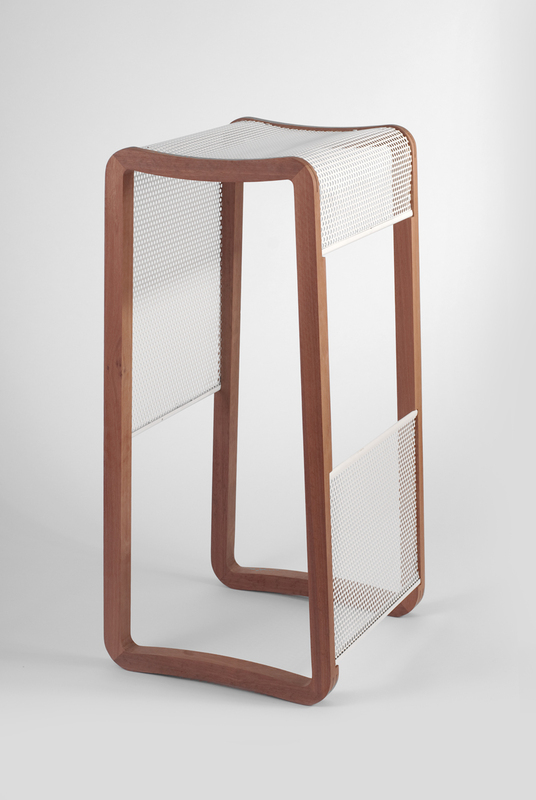 Andy Martin Studio developed three prototypes and this one was selected because its simplicity was the closest match to the company's heritage. 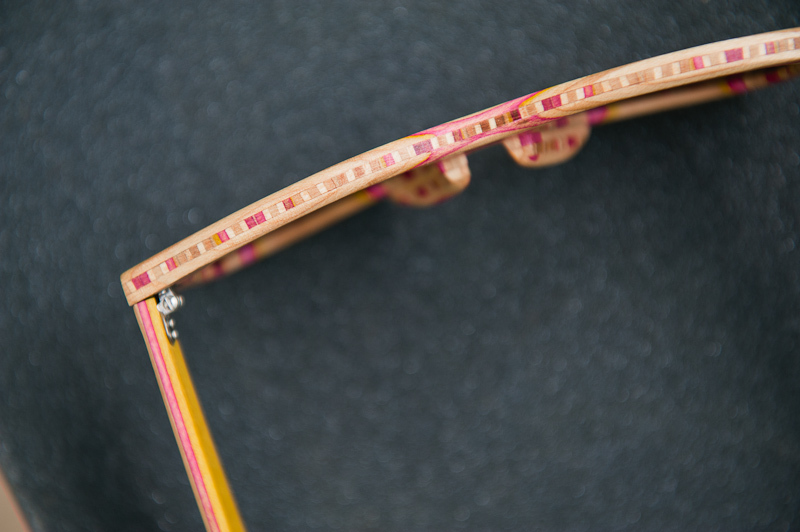 Because of the many restrictions relating to hand-bending the beech frame, the final jointing and contours were cut and adjusted on a cnc machine. Martin also developed a series of connectors and sprung rods to reinforce joints and the major stress areas in the frame. The fixed-gear, limited edition Thonet bicycle will be available for the sweet sum of £43,000. These Taper stools by Australian-based furniture designer Felicity Dessewffy were recently shown at the London Design Festival's 100% Design show. The elegant, sculptural forms encourage people to touch their tactile surfaces while the combination of steel and timber pieces explores the tapered profile and the impact of the material on this form as well as highlighting the structural and aesthetic properties of each material thereby reinforcing their similarities and differences. 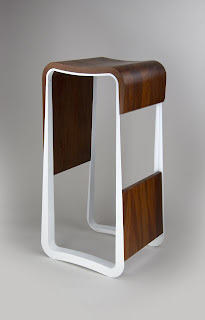 The first pieces in the collection are the Taper Bar and Low stools (pictured above) in combinations of steel and timber. The Taper collection will eventually expand to include chairs and tables for both indoor and outdoor settings. 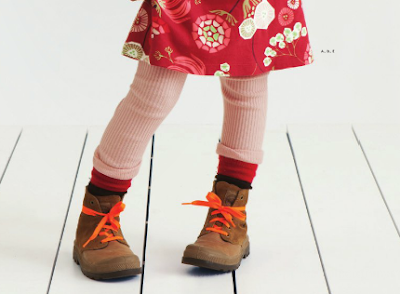 Those of you who follow this blog know of my dislike of overtly-feminine clothes for girls. While I have also featured other unisex labels before, I must confess to liking this line of children's clothes from Poland. 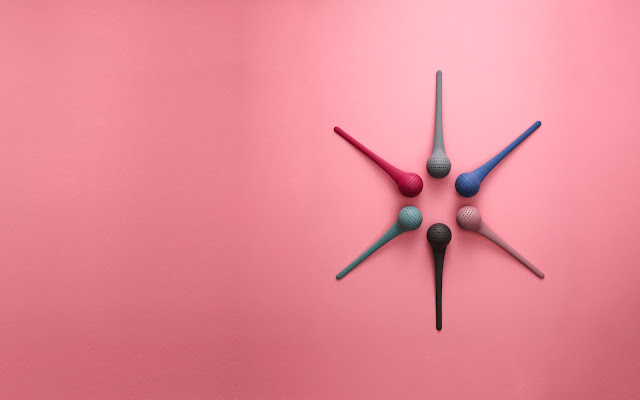 With a philosophy that emphasises the individuality of children, designers Czeslaw Mozila and Dorota Zielinska have created an entire line and not just a few select pieces which is interchangeable between genders. In addition to carrying clothes, CzesioCuich holds itself out to be a lifestyle brand, offering books and music as well as clothes. This unusual fashion line by Budapest-based design company IVANKA called Concrete Genezis is based on the versatile nature of concrete. The idea for the line came to co-founders Katalin and Andras Ivanka during a photo shoot in which they wore clothing that had been dipped in concrete and then allowed to dry. The clothes of Concrete Genezis are merely made of a new textile that mimics the look of the industrial material and as a result present a rather drab collection. Some of the other designs do consist of a merger between actual concrete and genuine leather and these are more effective than the faux pieces. 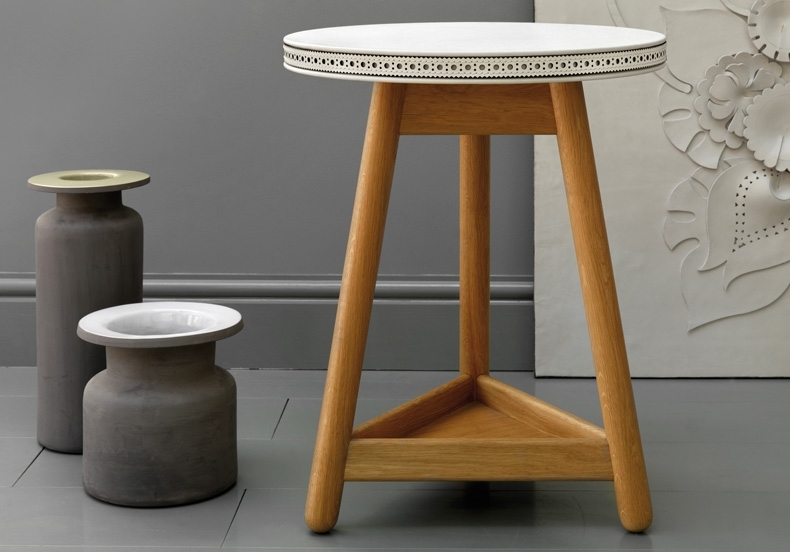 While not previously on our design-radar, that oversight looks set to change as we're really liking the pared-down, exaggerated shapes of Louise Amstrup's offering for Spring 2013. 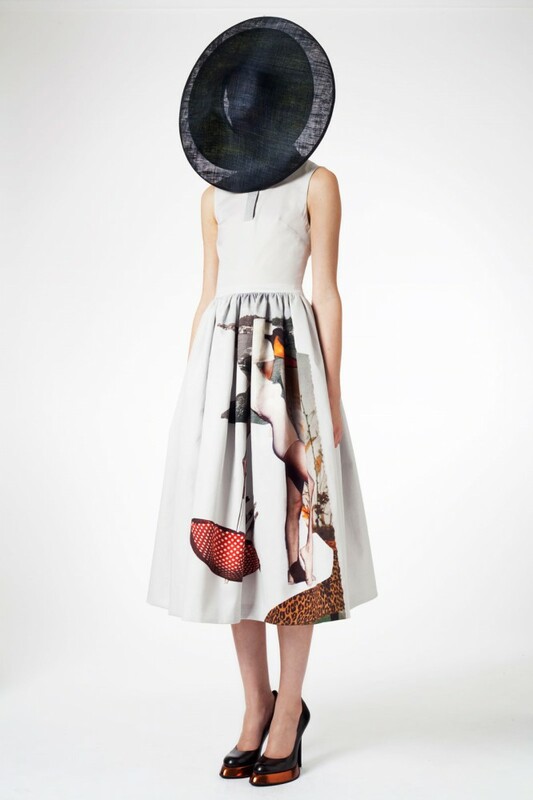 With a very effective use of anthropomorphic digital images, ombré shading and fluorescent accents, Amstrup manages to make ladylike separates feel edgy and modern. 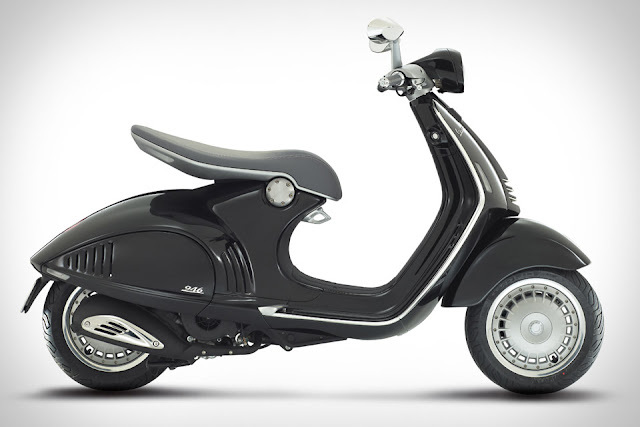 When it was time for me to buy a scooter, I knew my only option would be a Vespa. I still have a soft spot for them and was pretty excited to see the 946 which was inspired by a WWII-era MP6 prototype. The 946 is powered by an ultra-modern single cylinder, 125cc, four-stroke engine that offers fuel consumption of over 55 km per litre and 30 percent fewer emissions. Other features include a lightweight, high-quality build that incorporates plenty of aluminium all wrapped up in a sleek design. Kids can go big and bold in these soft leather boots by Palladium with a colour-split outsole featuring deep khaki on the diamond band and toe and chocolate on the bottom. Kalè by Mario Farrarini is a coffee table the design of which was inspired by the geometry of a circle. 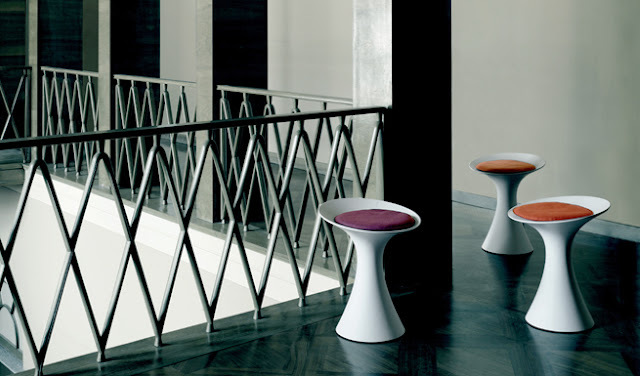 The sleek, modern shape includes a raised lip and an asymmetric profile and, with the addition of a cushion, the table also doubles as a functional stool. We love this beautifully shot, editorial-style campaign for Tallow's Spring 2013 swimwear line (oh, and the suits themselves). This is not a new idea, in fact we've previously featured something similar (and less intimidating in our opinion) here, but nevertheless, it is still effective. These cups are from Yumi-Yumi, a Brooklyn based group of designers and feature creepy crawlies and other beasties which are all poised to snap at you with their jaws and claws or wrap you in their tentacles. 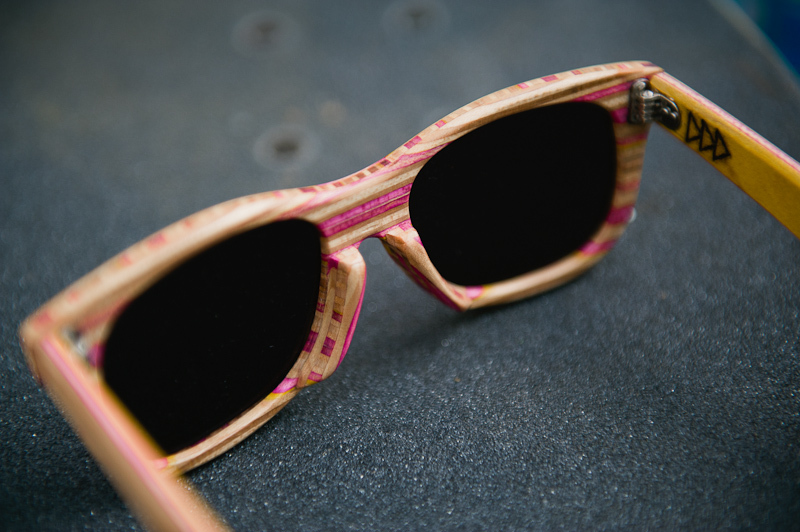 We've featured wooden-framed sunglasses here before, but I like the fact that these SK8 Shades by Dave de Witt, one of South Africa’s best skateboard ramp builders, are handmade in South Africa from recycled skateboards. The layered wood gives each pair of sunglasses a uniquely striking look. 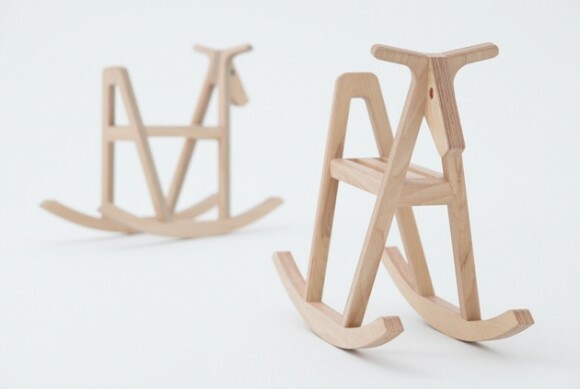 Yusuke Hayashi and Yoko Yasunishi, more commonly known as Drill Design, have experimented with an independently-developed material known as Paperwood to produce this spare but beautiful children's rocking horse. Designer Jeremy Scott has put his signature stamp on, of all things, the Smart electric drive two-seater car. This collaboration, which was unveiled in Los Angeles recently, sees the complete overhaul of the Smart car from a design standpoint including many parts of the interior and of course the prominent wing-like fins which have been affixed to the exterior. The Smart Forjeremy will be available to purchase next year as a limited edition. Forever 21 is has brought Hello Kitty back in an impressively grown-up way with this, the Hello Kitty Forever Collection, its second partnership with Sanrio. The collection features clothing, accessories, home goods and travel gear: from a chiffon top with a Hello Kitty silhouette pattern, to Baroque-effect Hello Kitty bedding in soft pastels and a statement Badtz-Maru graphic knit sweater and pink polka-dot Chococat PJs. 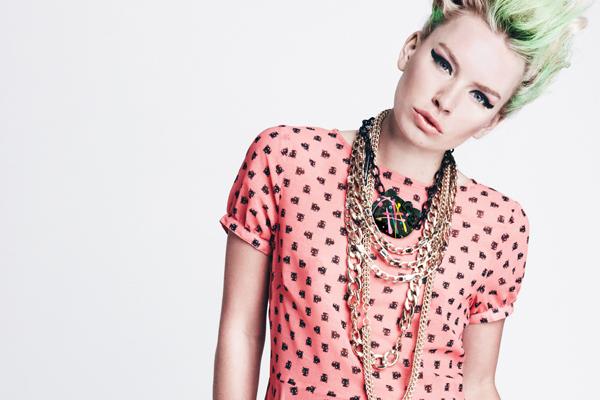 Onch Movement have also created the Hello Kitty-inspired jewellery for the collection. The Hello Kitty Forever Collection is in stores now. Neon brights and photorealism are the markers of Preen's Spring 2013 collection. 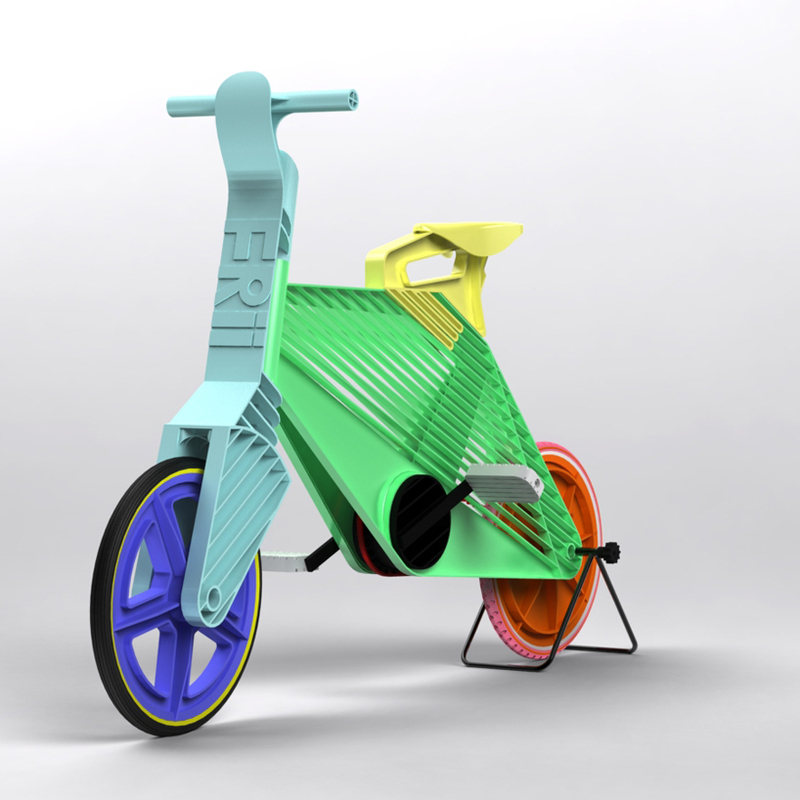 Israeli design student Dror Peleg has designed this bicycle dubbed "frii" for for his degree at Bezalel Academy of Art and Design, Jerusalem. Focusing on the mass production of bicycles with limited resources, the single speed city bicycle is made from recycled plastics using injection molding technology. Compared to the construction of the traditional metal bicycle, this process is less labor-intensive and more accessible: it can be customized to characteristics of local industry, its abilities, advantages and disadvantages. Tyres are 'full' material, injected over the rims making them difficult to deflate and the saddle is injected in different sizes to accommodate various heights of riders. 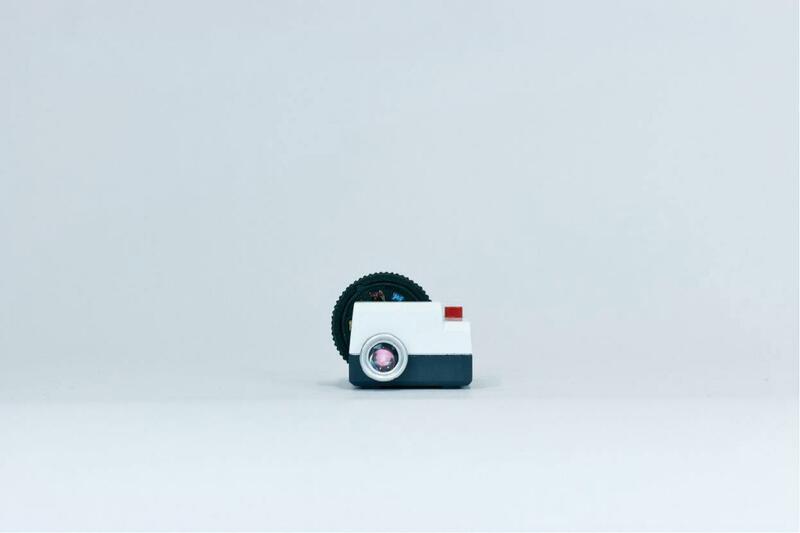 Because of the material used, the wheels of the frii are smaller than average: approximately 20 inches in size, which also adds to its strength. The bike is reinforced and stabilised by the plastic ribs and pyramid-shape. 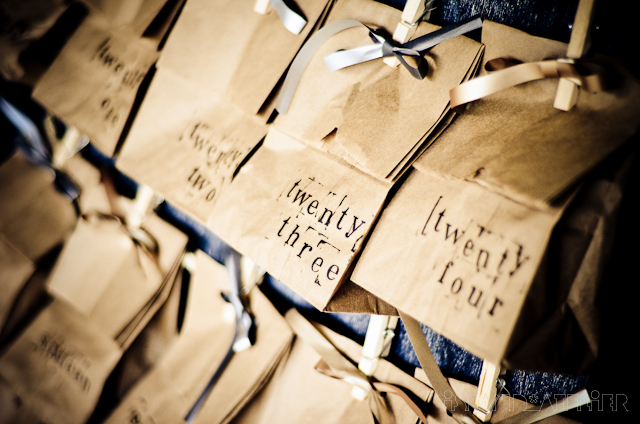 Hand-stamped brown paper bags make an easy and inexpensive Advent calendar. 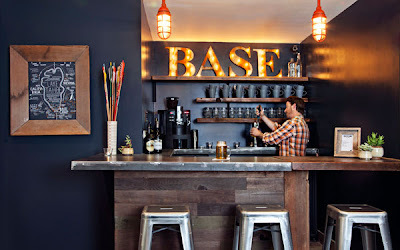 I'm not much of a camper but I could probably handle the idea of roughing it in the comparative luxury which is Basecamp South Lake Tahoe. This relatively new boutique hotel was built for exploring the lakes, trails and mountains in the Lake Tahoe Basin. 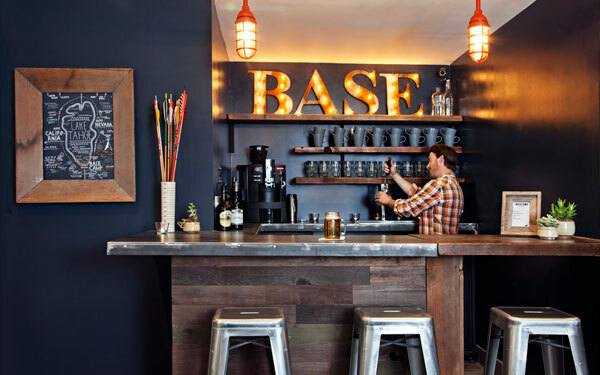 The decor reflects a certain sense of humour with a tongue-in-cheek take on the camping experience. 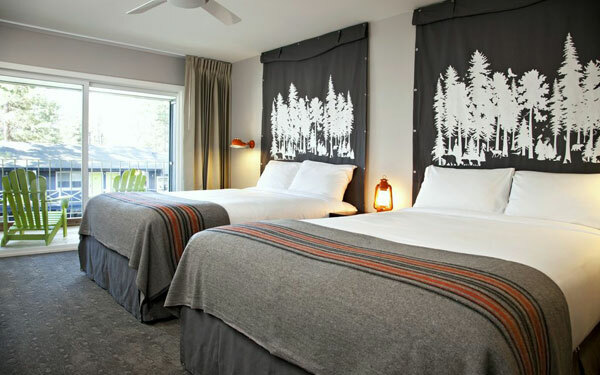 Each of the 50 rooms is designed for adventure and relaxation seekers alike and the hotel has all of the amenities of a modern resort but at more affordable motel prices. Anyone who missed the camp experience growing up (or who would like to revisit the experience) will love this hotel. 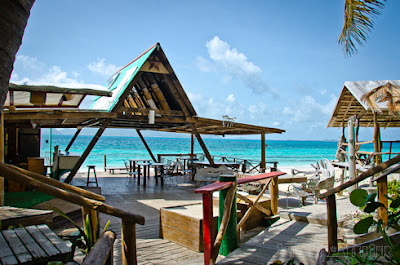 We are working our way up and down the islands and so once again we leave Barbados and head over to the island of Anguilla where we find this most unique beach bar/entertainment centre. The Dune Preserve is the home of Bankie Banx and is also where they hold the annual Moonsplash festival. While the Dune Preserve is nestled between two high-end resorts, the complex is a rough amalgamation of buildings made of timber and driftwood which have been cobbled together in what appears to be a haphazard manner. The survivor of numerous hurricanes, the structures return after each hit with a slightly different configuration than before. 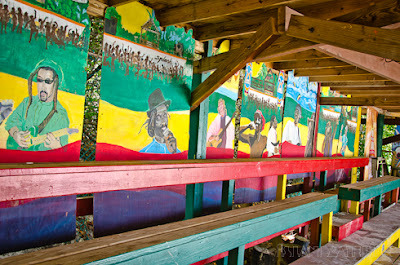 On closer inspection it is clear that much thought has gone into everything at the Dune Preserve from an outdoor shower topped by a conch shell, to a drum kit which has been reconfigured as a side table and folk art murals depicting well known politicians and musicians. The Dune Preserve is the embodiment of relaxed, island living and is the perfect setting for lounging under the sun or the stars, for dancing, liming and just having a great time. bioME 5 is a certified organic baby's and children's line and its Workshop Animal Alphabet Project features a modern interpretation of the traditional animal alphabet using photographic images on vibrantly coloured T-shirts. In an unusual twist, in the words on the T-shirt are printed upside down so that the animal's name can be easily read from the wearer's vantage point. 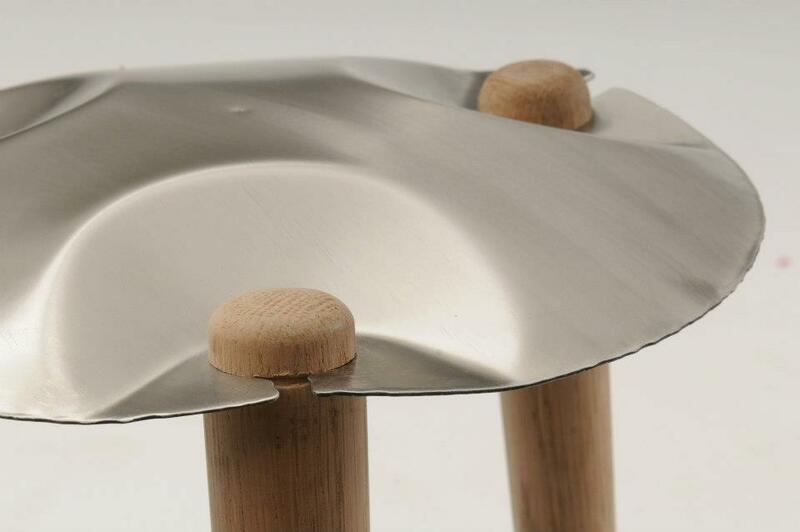 Metal is apparently more flexible than you would think and this characteristic has become a particular obsession of Moran Barmaper who has experimented with inflating this material to create pieces of furniture. Using a wooden framework to support the metallic "balloon" which is inflated, the wood and inflated metal are combined without the use of screws or glue. 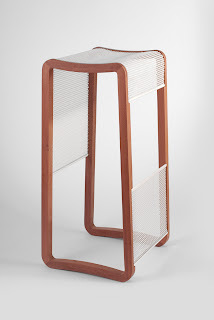 The expanded metal locks into place around the wooden supports creating joints and a rigid structure. 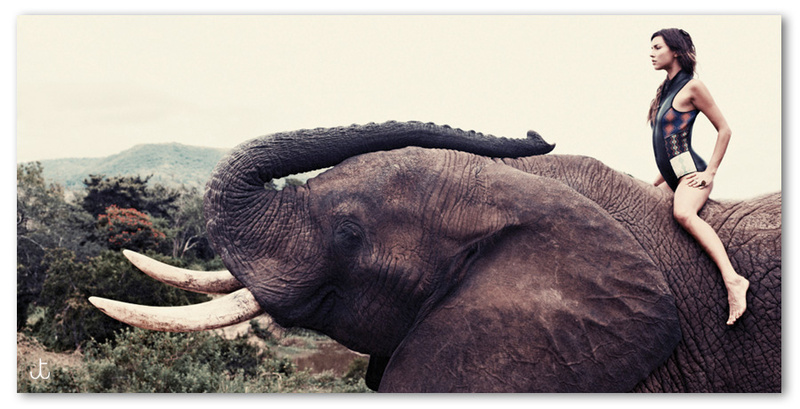 I featured an analog Instagram earlier this year, and now here we find another use for the ever popular app. 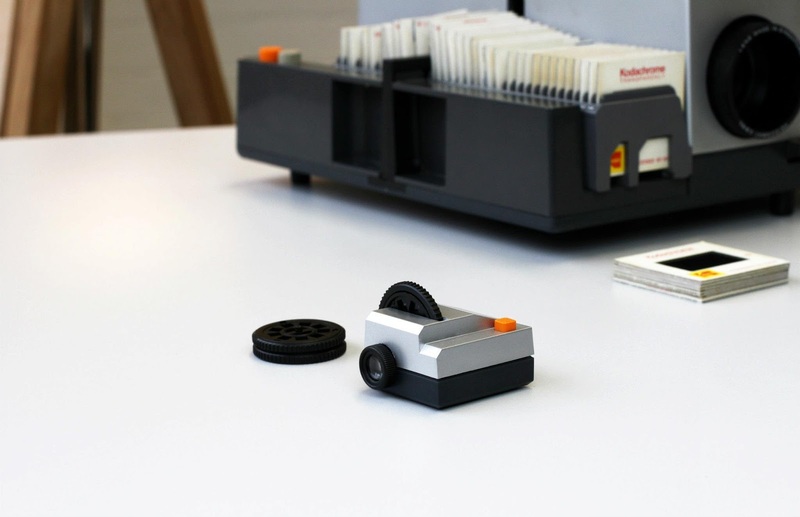 This is Projecteo, a pint-sized Instagram projector from Mint Digital. Launched as a Kickstarter project out of London (the project is now completely oversubscribed), Projecteo allows you to print your Instagram photographs on 35mm Kodak film before crimping it into a small circular film canister that sits inside the retro-styled body. 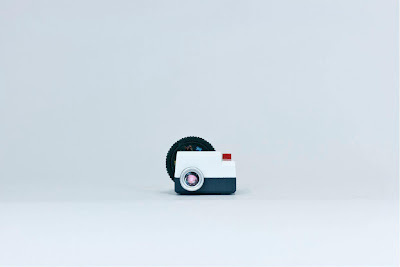 As the images are pixel free, they can be broadcast at a distance of about two feet in a darkened room. The projector also comes with a downloadable application that can be used to assist with the making of the slides. 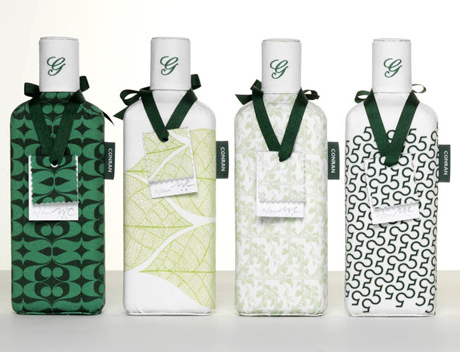 Gordon’s Gin have teamed up with Sir Terence Conran to produce ten bottles and full bottle wraps in designs inspired by the distinct flavour of Gordon’s Gin. 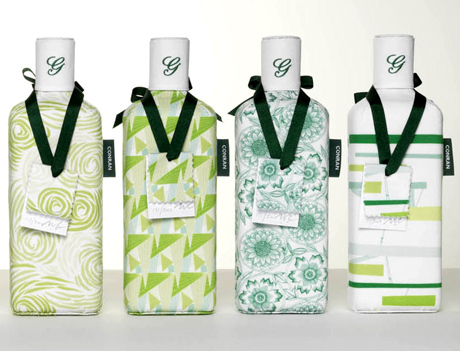 Each design tells a story of the rich heritage of both Conran and Gordon’s. A limited edition set of all ten featuring hand-applied new material labels will be stocked by Selfridges, London but individual bottles may also be purchased. 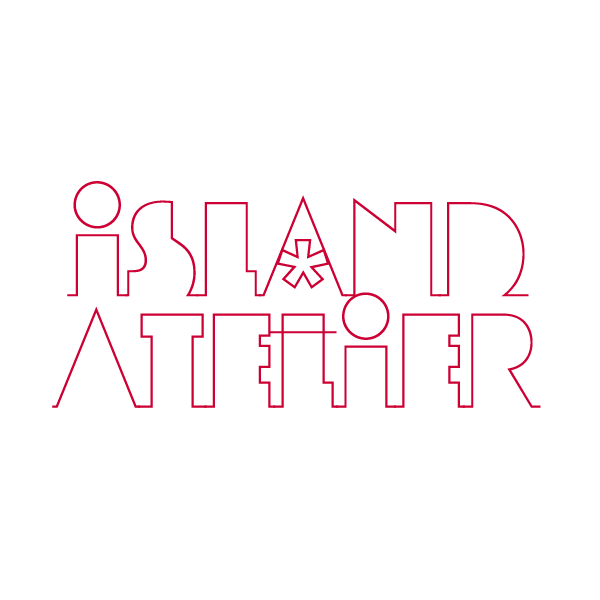 There is a bit of a renaissance happening in the eastern end of the island at the moment. 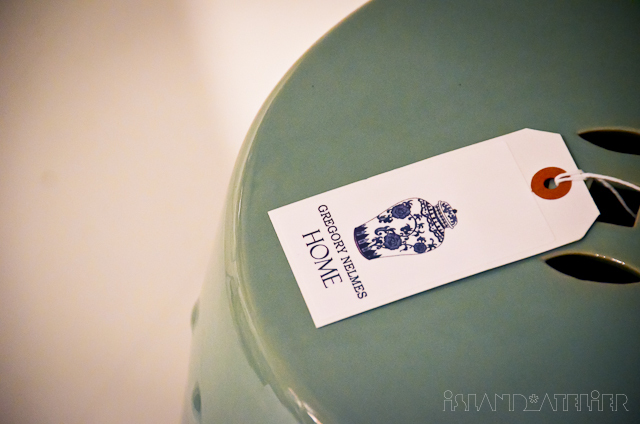 Over the next few months, the quaintly historic, seaside town of St George's will be receiving a commercial boon with the proposed opening of several new stores including a jeweller's and this, a new design studio and home decor store on Water Street called Gregory Nelmes Home, a sneak preview of which held last Thursday. Gregory Nelmes Home offers design services and consultations whether clients are looking to undertake minor updates to a room or large-scale renovation projects. 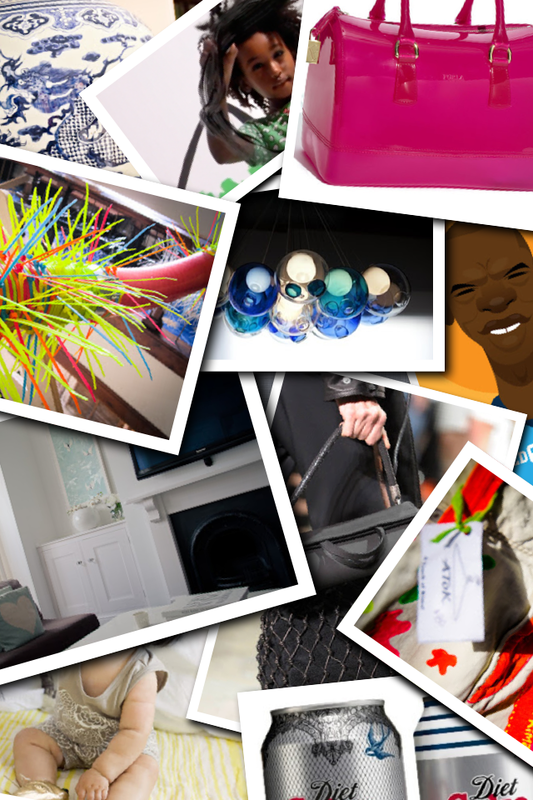 In addition to these services, the store offers for immediate purchase or special order unique items to complete a room. It is unsurprising that the sea has a large influence on Gregory's aesthetic which has a strongly nautical bent. 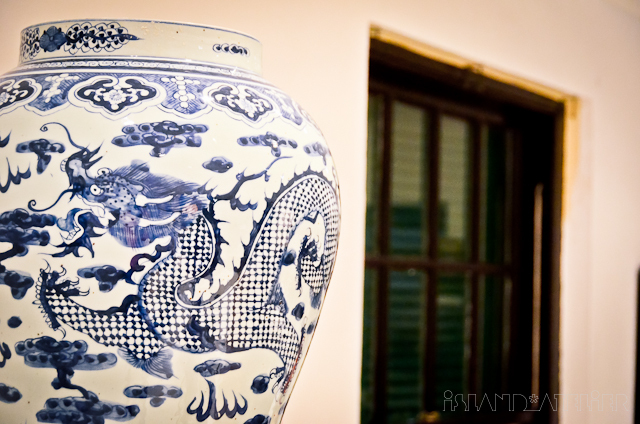 These touches are cleverly reconciled with his signature love of Chinoiserie and the dominant palette of blue and white is nicely grounded by rich, warm woods which help to tie the eclectic looks together. Gregory Nelmes Home opens to the public today.